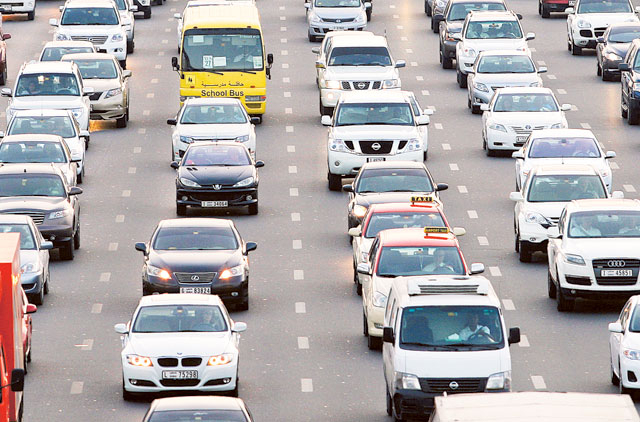 Dubai: Motorists who don’t commit traffic violations at any of the emirates will be eligible to win a brand new car from Dubai police, said senior police official. Major General Mohammad Saif Al Zafin, Director of Dubai Police Traffic Department said the white points system has been implemented by Dubai Police to encourage motorists to follow traffic rules and become safer drivers. The white points can be exchanged in many ways and can cancel some traffic fines. Maj Gen Al Zafin said the white points electronic system is collecting the data of the motorists and the white points winner will be announced by the beginning of February. He said people with valid driving licences issued from Dubai and one or more Dubai-registered vehicles in their names and they drive the vehicles by themselves will benefit from the white points system. “The winner who collect white points will be rewarded by the beginning of each year,” said Maj Gen Al Zafin. “We are often preoccupied with cracking down on bad drivers, so we tend to forget good drivers. This programme will change this,” he added. “Other conditions to be eligible for the white points system include, not having any traffic violation on the driver’s licence or the vehicle registered in the name of the driving licence holder during the year — that includes Salik fines, parking fines, or any traffic fines in other emirates,” he said. Maj Gen Al Zafin said each eligible person can receive a total of 12 white points a year, one for each month. One white point will be credited at the end of each month. A motorist loses his entitlement to the month’s point on being involved in any kind of accident or committing a violation during that month. “The white points are valid for a year. If one complies with the rules and regulations and earns white points for five consecutive years, one will be eligible to a big raffle draw on a vehicle,” he said. Maj Gen Al Zafin said when one commits a serious offence, one that warrants 24 black points and the suspension of the driver’s licence, that person will not qualify for any white points for an entire year, starting on the day the driver’s licence suspension is revoked. “If someone is driving a vehicle licensed by someone else and commits a violation, both the driver and the owner of the vehicle will forego any white points for that month,” he added. Maj Gen Al Zafin said the “white points” system was created to encourage motorists to follow traffic rules and regulations, and promote safe driving. “In order to be eligible for the system, the driver has to maintain a clean record throughout the year,” he said.